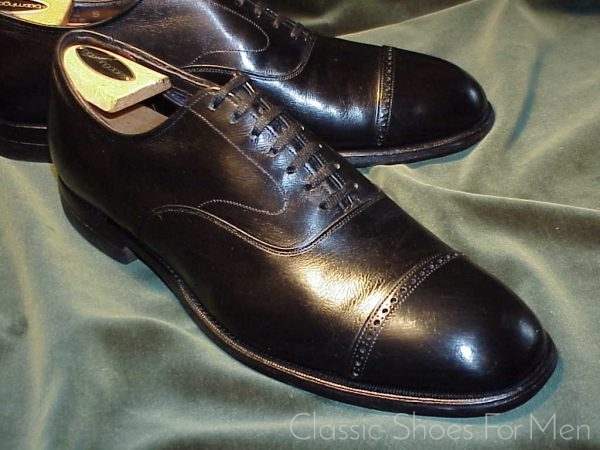 Out of the over 200 American Shoemakers clustered around New England at the start of the 20 Century, only a handful remain, among them Bostonian, Cole-Haan, J &M and, in Europe, the better know Alden and Allen-Edmonds. Silk Label may have existed only as a jobber product, one to be re-labeled with the name of one fine retailer or another; whom, we shall not know at this late day. What is sure is the high standard to which this shoe is made. 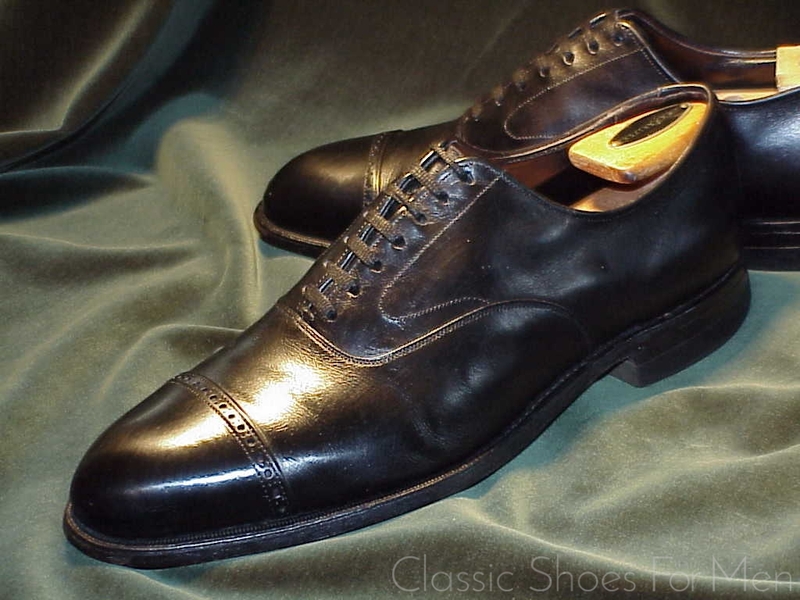 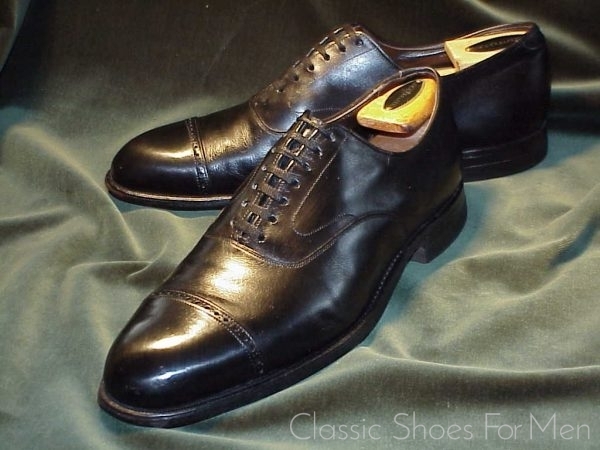 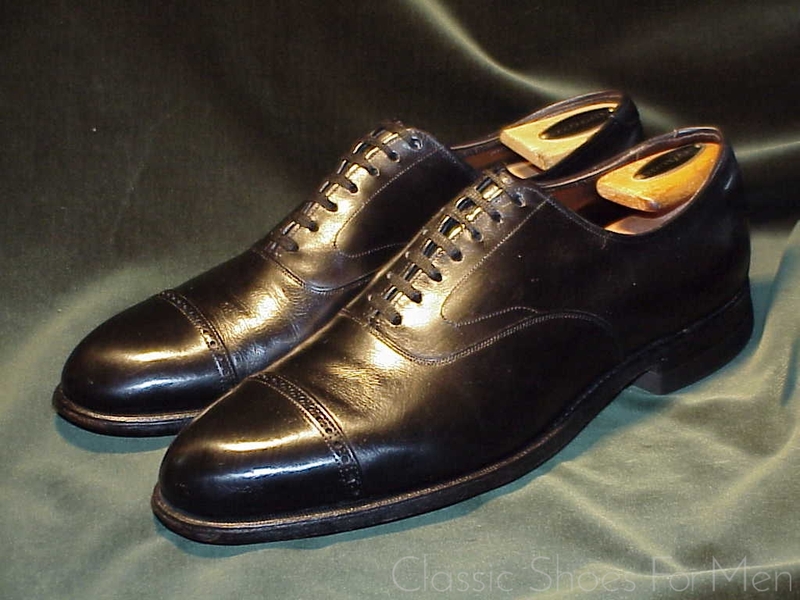 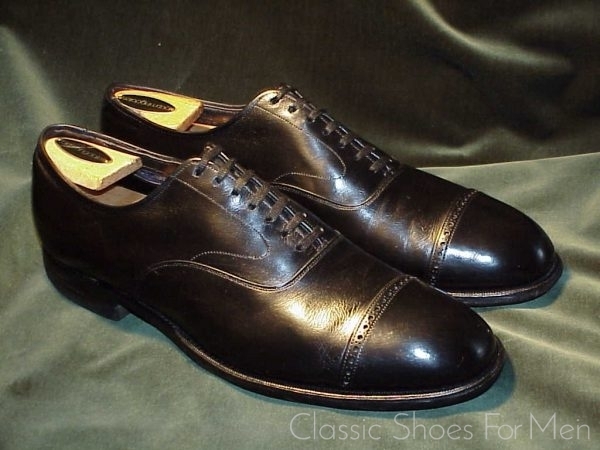 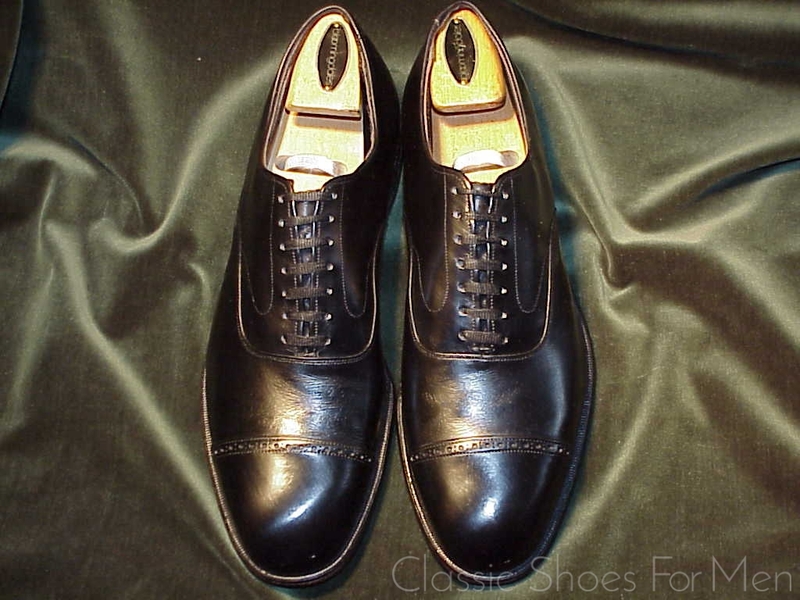 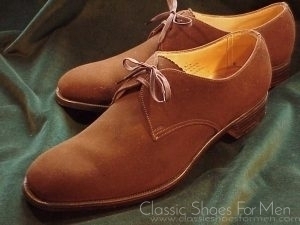 The Cap-Toe Oxford continues to be well represented in modern day production but the 7-Eyelet model is rarely seen and identifies this shoe as a mid- or early 20th century product. This is a marvelous classic model in the old tradition of workmanship, a handsome and extremely durable shoe in a hundred year old tradition. US 8.5C.…..UK 7.5D…..European 41.5C, for the somewhat narrower foot. 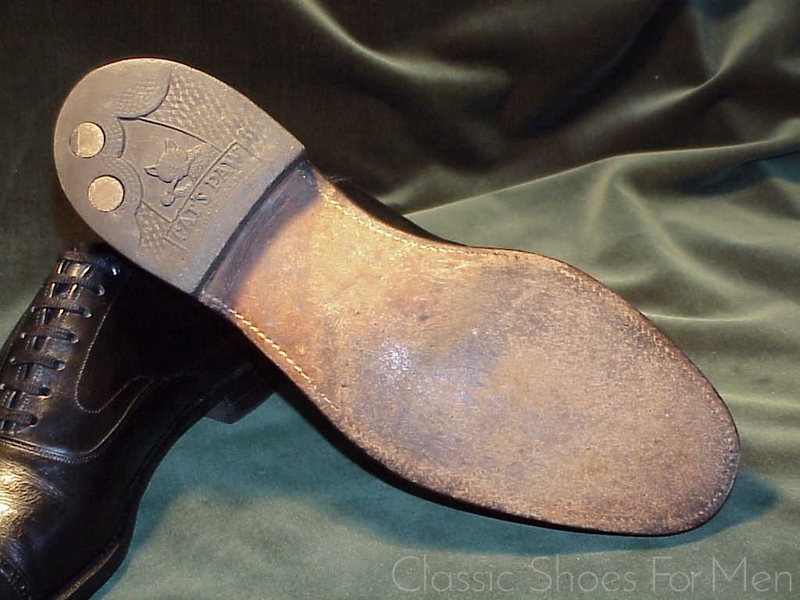 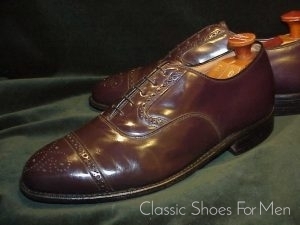 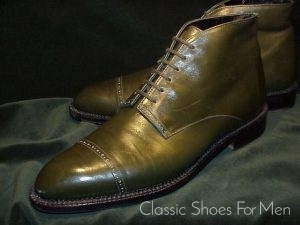 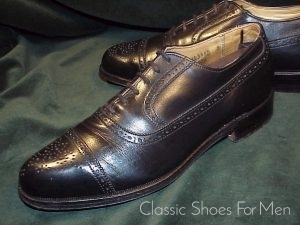 Original Goodyear welted sole built over a steel shank in excellent condition. 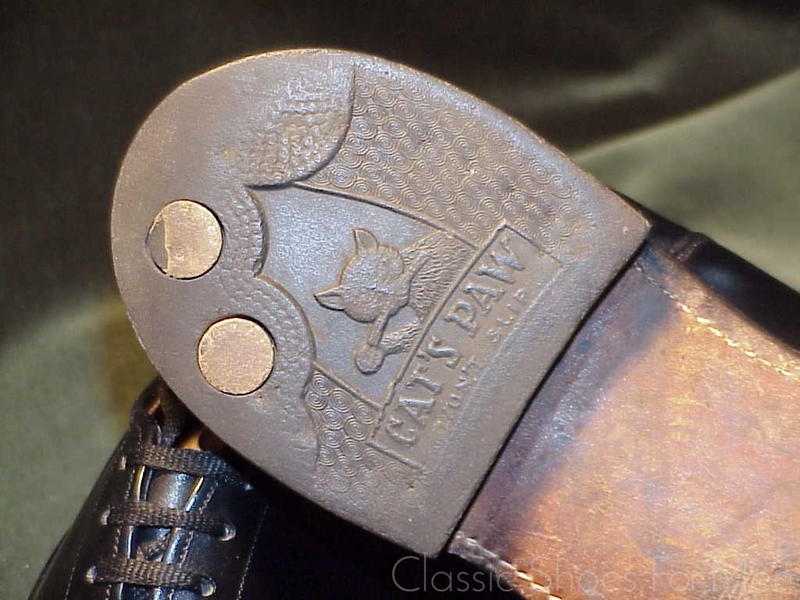 "Cat's Paw" rubber heels rounding somewhat.